WESTLAKE, Ohio (WJW) -- A propane tank caught fire at Crocker Park Thursday morning, the Westlake Fire Department says. The explosion happened at the construction site for the new American Greetings Creative Studios. Crocker Park officials said no one was injured. The investigation is in the hands of the Ohio State Fire Marshal, though it is not considered suspicious. "American Greetings and Crocker Park commend the swift action taken by Westlake Police and Fire Departments," said Lisa Schwan, director of communications for Stark Enterprises. "We are extremely grateful to report only property damage and no injuries. American Greetings and Crocker Park are working with authorities and more information on the incident will be released as those details become available." Fire officials said at least 10 fire departments responded. It began as a small fire near two propane tanks, then one tank exploded. Officials told the FOX 8 I-Team that firefighters let that tank burn out and stopped the leak in the second. Kristy Hignett works for Integrity Investigations up the block. She recorded the explosion as it happened and noticed emergency crews showing up just before the blast. Westlake 911 received a call about the smaller fire before the explosion. 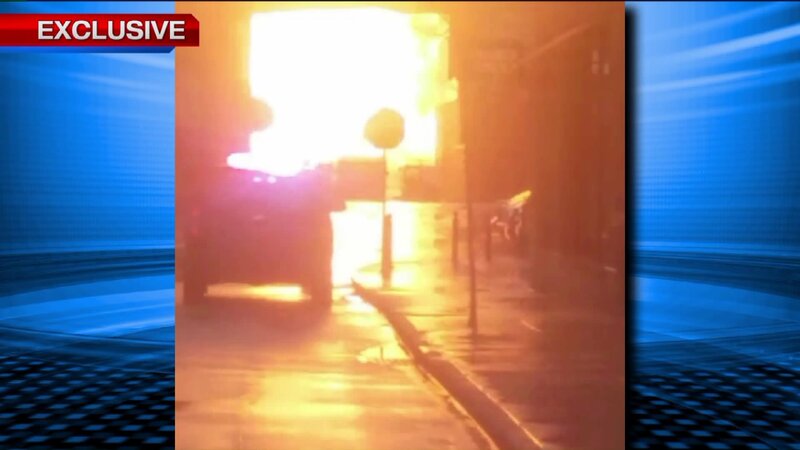 "There was a fire ball that shot up over the roof of the building," a construction worker told FOX 8 News. The Occupational Safety and Health Administration confirms it has opened an investigation into the blast. "It is our understanding the incident is under investigation by the proper authorities. At this time, we are unsure of how it may affect the completion of construction," an American Greetings spokeswoman said in a statement. Witnesses reported some nearby businesses, including LA Fitness and Trader Joe's, were evacuated. Another witness said he felt the ground shake at the Auntie Anne's stand.